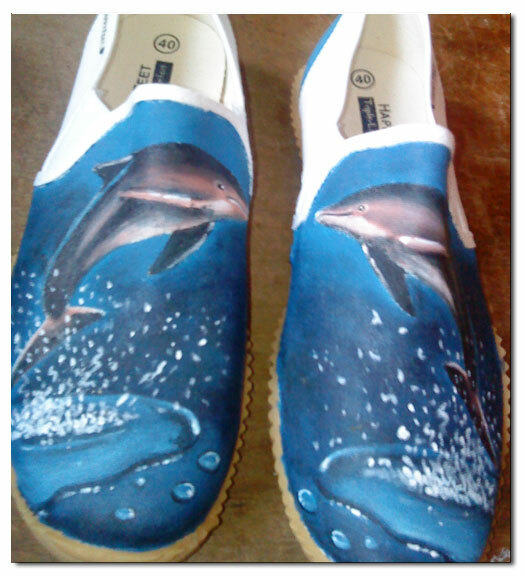 This is one of the limited hand-painted pairs released by Happy Feet. My son is happy to be able to grab this pair. It’s the only remaining pair for his size. It costs between P900 to P1,000 ($20-$25), but we did not pay in cash. No, it’s not free. We used the gift certificates issued to my husband. (The amount of GCs is equivalent to the total number of unpaid sick leave incurred by hubby for one year.) I was able to buy something for myself, too. I wish there are also available gift certificates or coupons for apparel so we’ll be able to save cash when we buy new clothes for the holiday season. This entry was posted in Uncategorized and tagged coupons, gift certificate, hand-painted shoes, Happy Feet on October 29, 2010 by Yami.